Three young Filipino visual artists were honored at the 2008 Ateneo Art Awards for their outstanding contribution to the definition and development of modern and contemporary Philippine art at a formal ceremony on 7 August 2008 at the Grand Atrium of the Shangri-La Plaza. The three winners are Poklong Anading for Fallen Map at Mag:net Katipunan; Marina Cruz-Garcia for Embroidered Landscape of My Mother’s Life: A Biography, shown at the Philippine Art Awards exhibition at the National Museum; and Kawayan de Guia for Incubator at The Drawing Room. Poklong Anading was also announced as the recipient of the Ateneo Art Gallery – Common Room Networks Foundation Bandung, Indonesia International Residency Grant. Marina Cruz-Garcia, on the other hand, bagged two Ateneo Art Gallery International Residency Grants: the Ateneo Art Gallery – La Trobe University Visual Arts Centre Bendigo, Australia Residency Grant and the Ateneo Art Gallery – Artesan Gallery Singapore Residency Grant. The grants include roundtrip airfare, allowance, accommodation and a work studio for three weeks, as well as an invitation to exhibit at their respective host venues. Further underscoring the Ateneo Art Awards’ strong commitment to fostering professional success and growth in the lives of emerging Filipino contemporary visual artists, also announced during the Awards ceremony was the establishment of the Ateneo Art Gallery-Art Omi New York Arts Project. This residency grant is being launched through a generous five year grant by Ateneo Art Gallery Society member Marcel Crespo. The New York Arts Project will allow one of the three winners of this year’s and future Ateneo Art Awards to undertake a three-week all expense paid artist-in-residence program at the Omi International Arts Centre in upstate New York in July each year. The other artists short-listed for the Awards were Christina Dy, Lyra Garcellano, Robert Langenegger, Rachel Rillo, Mark Salvatus, Mac Valdezco and Mark Valenzuela. The theme of this year’s exhibition, “Zones of Influence” acknowledges the diverse sites and sources of contemporary Philippine visual art practice. 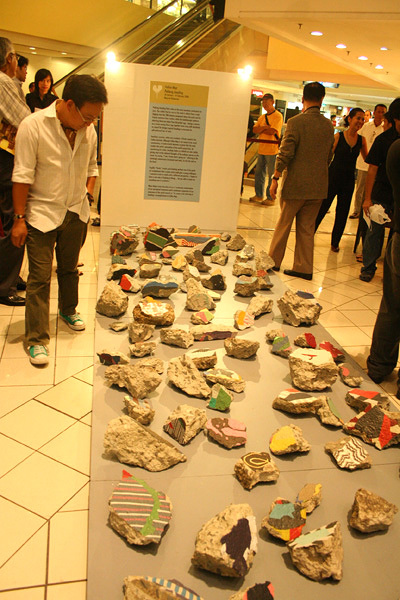 Working within geographic and metaphysical localities whose boundaries are constantly being transgressed and redefined, Filipino artists find themselves drawing inspiration from a variety of sources here and now – the global economy, socio-polity, the environment, among others – embodying the very essence of the contemporary. The 2008 Ateneo Art Awards: Zones of Influence exhibition will move to the Ateneo Art Gallery on 20 August and will run through 20 September 2008. It is co-presented by the Ateneo Art Gallery, Asian Art News, Metro Society, Shangri-la Plaza Corporation, Union Bank and YStyle of the Philippine Star. For more information, please contact Siddharta Perez, 2008 Ateneo Art Awards Project Coordinator at +632 4266488 or via email sperez@ateneo.edu. Next Rock Drilon ’74, three other brods, to be featured in Artist Talk for Homecoming Week.